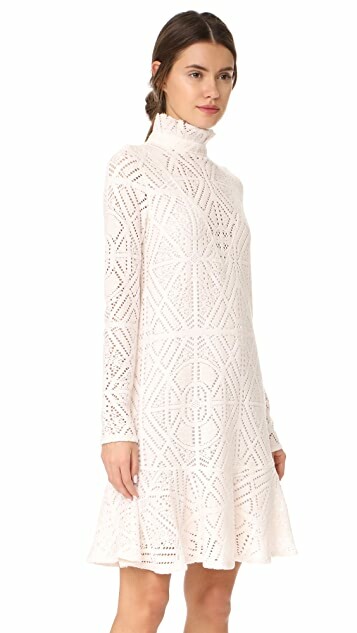 A See by Chloé drop-waist dress with a soft hand. The flounced skirt adds a swingy touch. 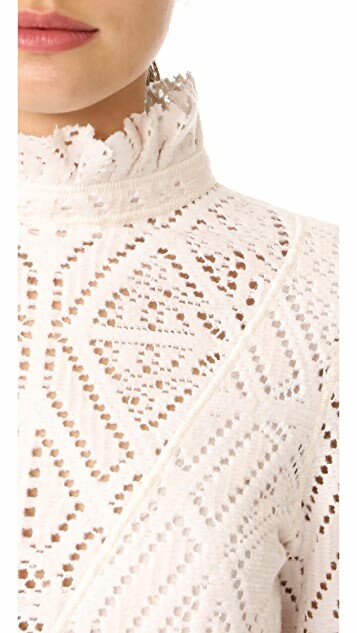 Mock neckline. Long sleeves. Hidden back zip. Lined. Shell: 47% polyester/32% cotton/21% acrylic.